Hello! Today I am talking about BARR Sweden. 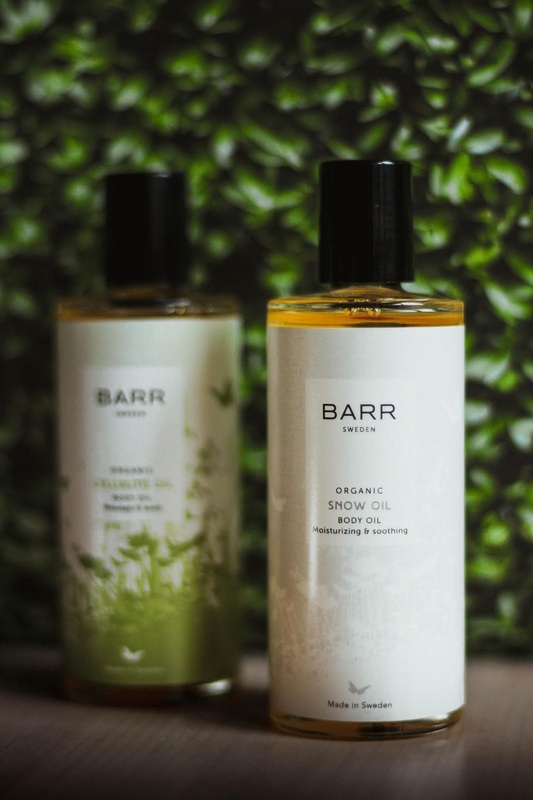 This brand as its name says it is made in Sweden by a family who decided to create their own products for their son, that are free from mineral oil, parabens, propylene glycol, artificial colouring or silicon. 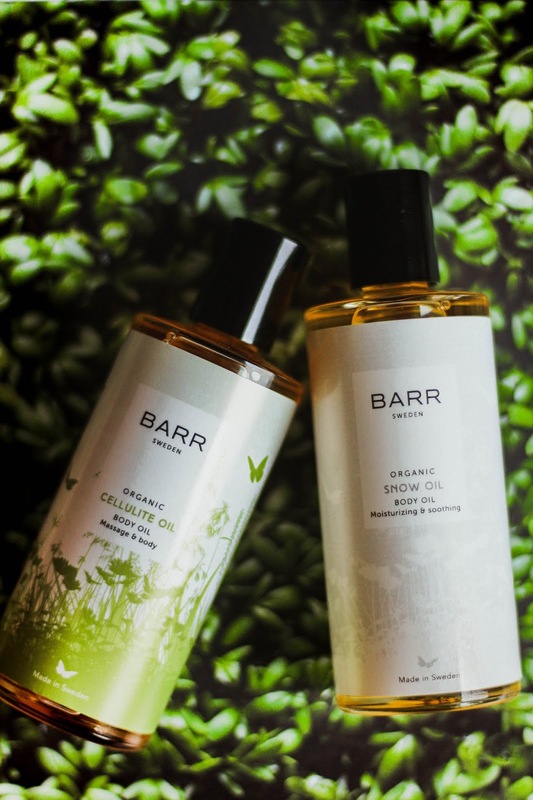 I got a chance to try two of their products - Cellulite oil and Snow oil. This oil is specially made for the skin needs extra care and moisture. It has won five awards, which show how incredible is this oil. It is moisturising and soothing, it has a subtle scent just like herbs. For me, this oil is something that I use a once a week, when I want to pamper my dry skin, mostly after a sauna. It leaves the skin soft and plumped. As I have already told it many times that I have eczema on my both hands, then this sort of oil works perfectly to calm it and to take care of it. Little tip: I like to use few drops of this in my baths, leaves skin so soft. Of course, this oil is meant to use for the problems areas that have cellulite. With this oil, I can not say 100% if it works, because I haven't used it as consistently as I should. I can say it does make my legs look a bit nicer but cellulite doesn't go away when using beauty products, it has so many aspects to it, such as eating healthy, being active etc. This oil stimulates micro-circulation, which improves elasticity. 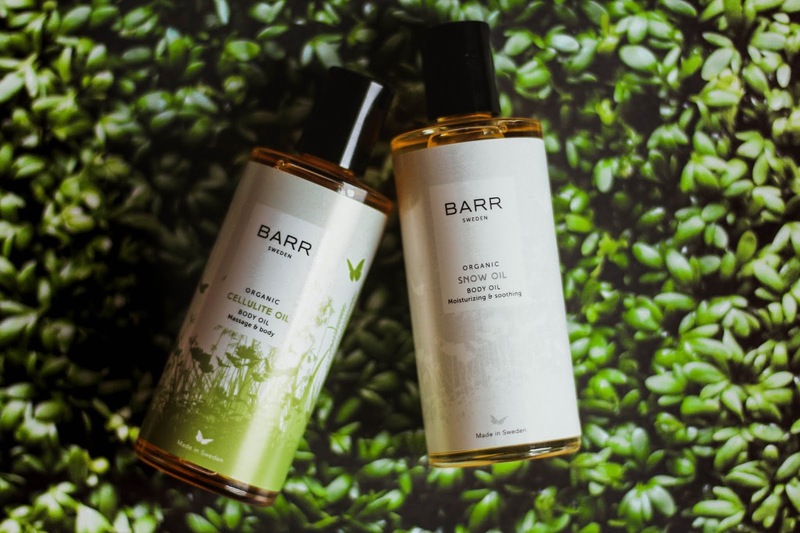 So this oil isn't just for cellulite, as an oil, it moisturises the skin and I even find a oil to be one of the best products for stretch marks as well. 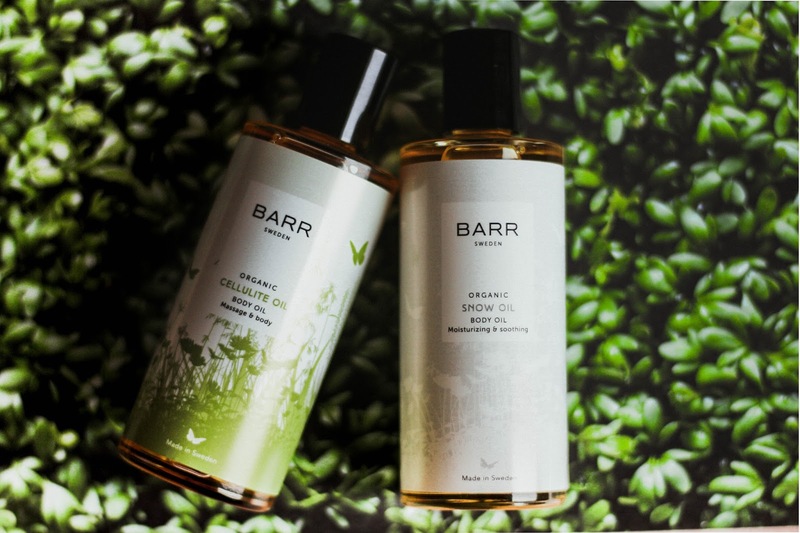 "BARR Sweden Cellulite massage oil is designed to combat congestion and reduce the occurrence of embedded cellulites. If you want to purchase BARR Sweden in Estonia then you can do it here. I hope you enjoy reading this blog post and you discovered a new brand to try out.